Every person is entitled to certain rights – simply by the fact that they are a human being. They are "rights" because they are things you are allowed to be, to do or to have. These rights are there for your protection against people who might want to harm or hurt you. They are also there to help us get along with each other and live in peace. As par UN also "We are all equally entitled to our human rights without discrimination. These rights are all interrelated, interdependent and indivisible...Universal human rights are often expressed and guaranteed by law, in the forms of treaties, customary international law , general principles and other sources of international law. International human rights law lays down obligations of Governments to act in certain ways or to refrain from certain acts, in order to promote and protect human rights and fundamental freedoms of individuals or groups....Human rights entail both rights and obligations. States assume obligations and duties under international law to respect, to protect and to fulfil human rights. The obligation to respect means that States must refrain from interfering with or curtailing the enjoyment of human rights. The obligation to protect requires States to protect individuals and groups against human rights abuses. The obligation to fulfil means that States must take positive action to facilitate the enjoyment of basic human rights. 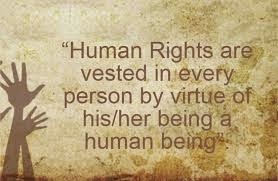 At the individual level, while we are entitled our human rights, we should also respect the human rights of others." We must remember that The Constitution of India is the supreme law of India. Born out of the atrocities and enormous loss of life during World War II, the Universal Declaration of Human Rights (UDHR) was created by the United Nations to provide a common understanding of what everyone’s rights are. It forms the basis for a world built on freedom, justice and peace. We are all free and equal in dignity and rights. We are all born free. We all have our own thoughts and ideas. We should all be treated in the same way. All human beings are born free and equal in dignity and rights. They are endowed with reason and conscience and should act towards one another in a spirit of brotherhood. Don't discriminate. These rights belong to everybody, whatever our differences. The right to life. We all have the right to life, and to live in freedom and safety. Slavery – past and present. Nobody has any right to make us a slave. We cannot make anyone our slave. Torture. Nobody has any right to hurt us or to torture us. We all have the same right to use the law. I am a person just like you! We are all protected by the law. The law is the same for everyone. It must treat us all fairly. Fair treatment by fair courts. We can all ask for the law to help us when we are not treated fairly. Unfair detainment. Nobody has the right to put us in prison without a good reason and keep us there, or to send us away from our country. The right to trial. If we are put on trial this should be in public. Everyone is entitled in full equality to a fair and public hearing by an independent and impartial tribunal, in the determination of his rights and obligations and of any criminal charge against him. Innocent until proven guilty. Nobody should be blamed for doing something until it is proven. When people say we did a bad thing we have the right to show it is not true. The right to privacy. Nobody should try to harm our good name. Nobody has the right to come into our home, open our letters or bother us or our family without a good reason. Freedom to move. We all have the right to go where we want in our own country and to travel as we wish. The right to asylum. If we are frightened of being badly treated in our own country, we all have the right to run away to another country to be safe. The right to a nationality. We all have the right to belong to a country. Marriage and family. Every grown-up has the right to marry and have a family if they want to. Men and women have the same rights when they are married, and when they are separated. Your own things. Everyone has the right to own things or share them. Nobody should take our things from us without a good reason. Freedom of thought. We all have the right to believe in what we want to believe, to have a religion, or to change it if we want. Free to say what you want. We all have the right to make up our own minds, to think what we like, to say what we think, and to share our ideas with other people. Meet where you like. We all have the right to meet our friends and to work together in peace to defend our rights. Nobody can make us join a group if we don't want to. 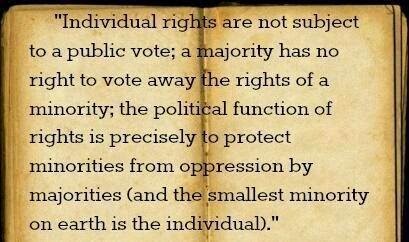 The right to democracy. We all have the right to take part in the government of our country. Every grown-up should be allowed to choose their own leaders. The right to social security. We all have the right to affordable housing, medicine, education, and child care, enough money to live on and medical help if we are ill or old. Workers' rights. Every grown-up has the right to do a job, to a fair wage for their work, and to join a trade union. The right to play. We all have the right to rest from work and to relax. A bed and some food. We all have the right to a good life. Mothers and children, people who are old, unemployed or disabled, and all people have the right to be cared for. The right to education. Education is a right. Primary school should be free. We should learn about the United Nations and how to get on with others. Our parents can choose what we learn. Culture and copyright. Copyright is a special law that protects one's own artistic creations and writings; others cannot make copies without permission. We all have the right to our own way of life and to enjoy the good things that "art," science and learning bring. A free and fair world. There must be proper order so we can all enjoy rights and freedoms in our own country and all over the world. Our responsibilities. 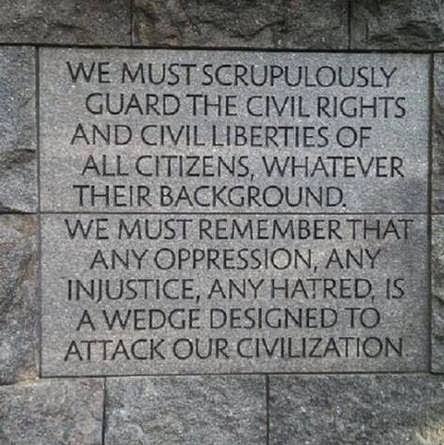 We have a duty to other people, and we should protect their rights and freedoms. NB : How Does International Law Protect Human Rights? Through ratification of international human rights treaties, Governments undertake to put into place domestic measures and legislation compatible with their treaty obligations and duties. The domestic legal system, therefore, provides the principal legal protection of human rights guaranteed under international law. Where domestic legal proceedings fail to address human rights abuses, mechanisms and procedures for individual and group complaints are available at the regional and international levels to help ensure that international human rights standards are indeed respected, implemented, and enforced at the local level.